Chloe Spaven, a solicitor in our immigration department, discusses the significant ruling in the case of Paposhvili v Belgium by the Grand Chamber of the European Court of Human Rights (ECtHR), which concerns the correct approach to be taken in Article 3 ECHR health cases where the Applicant is seriously ill and wishes to resist removal on the basis this would expose them to a real risk of torture or inhuman or degrading treatment. The ECtHR handed down judgement in this case on 13th December 2016. The judgement is heralded as one of the most important of 2016 and concerns the interpretation and applicability of Article 3 ECHR in health cases. Article 3 ECHR prohibits, in absolute terms, torture or inhuman or degrading treatment or punishment. Prior to this judgement, for a health claim to succeed under Article 3 ECHR where the Applicant concerned was not at imminent risk of dying, it was necessary for them to evidence that there existed ‘exceptional circumstances’. The 2008 case of N v UK set down this threshold, which until Paposhvili, been applied in a very restrictive manner, so restrictively in fact, that every case bar one that had sought to rely on this provision had been refused. One of the most recent domestic authorities on health cases is the Court of Appeal case of GS India & Ors  EWCA Civ 40, which applied the test set down in N v UK. The Court of Appeal held in this case that even where the return of the Applicants to the receiving state would result in a significant reduction in their life expectancy as a result of being unable to access treatment, this would still not be sufficient to meet the ‘exceptional circumstances’ test and thus engage the Article 3 threshold, as set out in N v UK. All of the Applicants’ Article 3 claims were therefore dismissed. The Grand Chamber in Paposhvili sought to correct the ‘theoretical and illusionary’ nature of the protection afforded by Article 3 ECHR as a result of N v UK. The approach following N v UK was recognised to have effectively left a protection gap, whereby the absolute rights afforded by Article 3 ECHR had not been accessible to those Applicants who were seriously ill but not yet in a critical condition. The Grand Chamber therefore resolved to clarify and widen the scope of the ‘exceptional circumstances’ test, to give practical effect to the protection afforded by Article 3 ECHR. The Appellant in this case, Mr Paposhvili, was a Georgian national living in Belgium. He was suffering from a life threatening illness: chronic lymphocytic leukaemia; he had also suffered a stroke and was battling other serious health complications. He was receiving treatment for these conditions in Belgium but the only means of a cure was a stem cell transplant. Mr Paposhvili argued he was ineligible to receive the transplant until his leave had been regularised. Mr Paposhvili arrived in Belgium with his wife and child in 1998. Since his arrival in Belgium Mr Paposhvili made a succession of applications to regularise his leave. These applications were all unsuccessful. He had a further 2 children with his wife after their arrival. His wife and children were granted Indefinite Leave to Remain in Belgium in 2010. Mr Paposhvili was not granted leave in line with them on account of his criminal convictions; he had been sentenced to in excess of 4 years imprisonment for a variety of crimes he had committed since 1998. Belgium sought to deport Mr Paposhvili to Georgia. Mr Paposhvili sought to remain in Belgium on account of his serious ill-health and his private and family life. He relied on Article 3 and Article 8 ECHR. Before the matter was heard by the Grand Chamber, Mr Paposhvili passed away. The Grand Chamber resolved to hear the case on account of the importance of the issues raised and the wishes of his family. The Grand Chamber delivered a unanimous judgement which found there would have been a breach of Mr Paposhvili’s Article 3 ECHR rights had Belgium sought to remove him to Georgia without first conducting an assessment of the risk he faced on removal in the light of his ill-health and the availability of appropriate treatment in Georgia. The Grand Chamber also found that a violation of his Article 8 ECHR rights would have occurred if Belgium had expelled him without having assessed the impact of his return on his right to respect for his family life, in light of his ill-health. The Grand Chamber determined that Article 3 is triggered in these type of health cases where “the absence of appropriate treatment in the receiving country or the lack of access to such treatment, exposes the individual to a serious, rapid and irreversible decline in his or her state of health resulting in intense suffering or to a significant reduction in life expectancy”. to consider the cost of medication and treatment, the existence of a social and family network, and the distance to be travelled in order to have access to the required care. The threshold and procedural requirements set down by the Grand Chamber in this case clearly require the returning State to undertake an assessment of the situation the Applicant will find himself in after removal. The Grand Chamber have therefore realigned the focus of enquiry, moving it beyond an assessment of the imminence of death on removal, towards a much needed a rigorous and practical assessment of the foreseeable consequences of removal on the Applicant’s health and / or life expectancy. This important distinction gives effect to the preventative spirit and absolute nature of Article 3 ECHR and, we hope, will go some way to filling the protection gap left by N v UK. Following a rigorous assessment of the foreseeable consequences of removal on the Applicant, the Grand Chamber held that, where serious doubts persist regarding the impact of removal on the person concerned – on account of the general situation in the receiving country and/or their individual situation – the returning State must then obtain individual and sufficient assurances from the receiving State that appropriate treatment will be available and accessible on return. If sufficient assurances are required but are not obtained, it follows removal of the Applicant will result in a breach of their Article 3 ECHR rights and cannot therefore proceed. 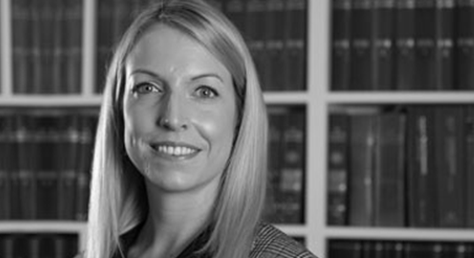 If you are concerned or affected by the issues above and would like to discuss your case, you can contact Chloe Spaven directly via email at: c.spaven@wilsonllp.co.uk. Alternatively, you can make an appointment for a consultation with Chloe Spaven or any other member of our immigration team by contacting Dionne on 0208 885 7979.